Sometimes your kids need to be taught a lesson. Especially if they are a teenager. Because let’s be honest, teenagers can be extremely difficult to handle. I should know, I was a teenager myself until this year. And they think they know everything that there is to know about living. So when Cierra Forney noticed that her 13-year-old son was starting to act a little bit ‘snooty’ and entitled when it came to clothes shopping, she wanted to nip this problem in the bud. You see, her son was acting like he was too good to shop at Wal-mart or Goodwill, so she did what any mother would do. 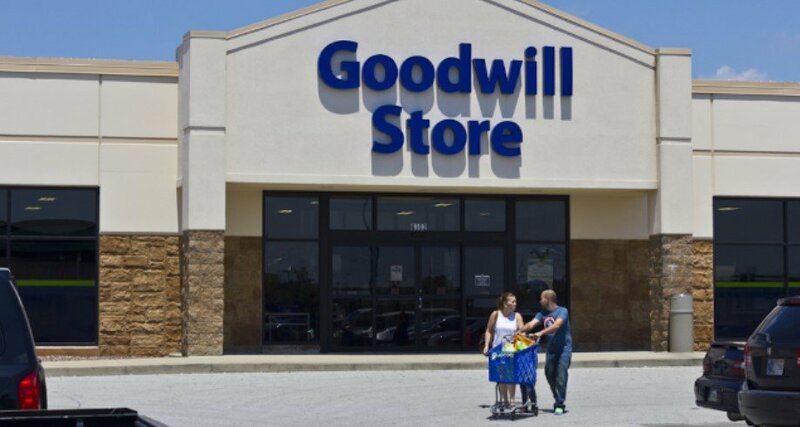 She forced him to shop at Goodwill. This is the Facebook post from March 25th. Her post went quickly viral and had over 260,000 times. Following are some of the positive comments on her post. That was some truly inspired parenting! Good for you! That’s an awesome idea. I hope more parents see this I make their kids do the same. For a child acting entitled and criticizing others for shopping there, this is the perfect way of humbling him. Many people said that what she was essentially doing was bullying her kid. While others said that it was her fault that he was spoiled in the first place. The mother, however, quickly addressed the issue. I am making this post public, which I am almost certain I will regret. However, I feel like this is something I must say. 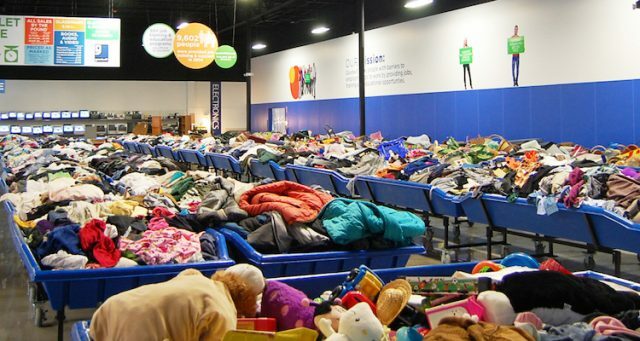 When I made the post about taking my son to Goodwill, I made it to share with my family and friends on my own Facebook. A few people asked me if they could share it since they too agreed with the lesson I was trying to teach my son. People share my stuff all the time and it never ever goes beyond maybe 30 shares? I had NO idea this would happen. Before I agreed, I FIRST asked him if he would be okay with that. He was completely fine with it and still is. My son learned a valuable lesson from this and I believe it is just another story we can add to our lives memory to look back on. I didn’t do this to punish him. It wasn’t to show him that goodwill isn’t a good place to shop. I did this to teach him that money and name brands don’t change who we are as people. He can still be the amazing, adorable, loved kid that he is WITHOUT the expensive stores! I do realize that we are partly to blame for his expectancy of always having name brands. My husband and myself had our son when we were VERY young. We always strived to give him all the things we never had and because of that, he has grown to expect these things. I LOVE THE Goodwill. I got my first pair of amazing sunglasses there for 50 cents!! All the public shaming and saying my son will grow to hate me, sue me and later kill me are just awful. My son and I have an amazing relationship. He tells me everything and trusts me whole heartedly. I DO NOT care what anyone has to say about my post because I SOLEY did this to help my son become a better man. All the positive feedback and comments have brought me to tears and so have all the negative ones. All that matters is my son is completely 100 percent okay with what happened. My son has learned a valuable lesson from this AND my son is rocking his button up shirt he bought from the Goodwill with PRIDE today!!! What do you think? Good parenting?